1. Assist Manager in planning, designing, developing and delivering training for different participants. 2. Assist in establishing film centers in various communities, schools and other institutional venues. 3. Develop educational materials and manuals for training programs. 4. Assist Manager in drafting and implementing a medium/long-term strategy to develop filmmaking capacities through training and workshops. 5. Oversee all the workshops and training modules, held at the RFC or in cooperation with it. 6. Assist Manager in developing and maintaining a network strategy with universities, colleges, schools, and the graduate filmmakers in Jordan and abroad. 7. Manage budgets, and ensure financial accountability and adoption of the best value approaches. 8. Consult with Manager on the content of the training and workshops. 9. Research and approach potential donors for raising funds to ensure the continuity of funding for the position as well as for supporting programs and activities of the department. Responsible for drafting proposals and concept notes in both English and Arabic. 10. Supervise work of staff and report back to Manager to ensure quality of outputs. Effectively monitor and evaluate work of staff and deliverables. 11. Coordinate and liaise with other departments at the RFC, assisting Manager in contributing to the overall objectives of the Commission. 12. Represent Manager in film-related activities and forums whenever required. 13. Any other tasks requested by the Manager. 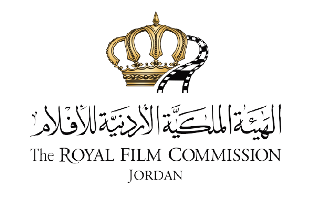 Please send your application to the following email: recruitment@film.jo no later than 31 January 2017, and indicate clearly in the subject of your email the title of the position you are applying for. Under the supervision of the Production Services Manager, the Production Services Assistant will be responsible for all administrative related matters pertaining to the Production Services department (PSD). 1- Handling all paperwork pertaining to PSD, including official letters, accounting papers, and other forms. 2- In charge of keeping up-to-date files & forms on hard copy and electronically, plus office administrative work. 3- Handling any logistical requirements including bookings. 11- Performing other duties as required by the Manager. • BA Degree in a related field. • 2 years work experience. • Fluent in English & Arabic, spoken and written. • Extremely organized and hard working. 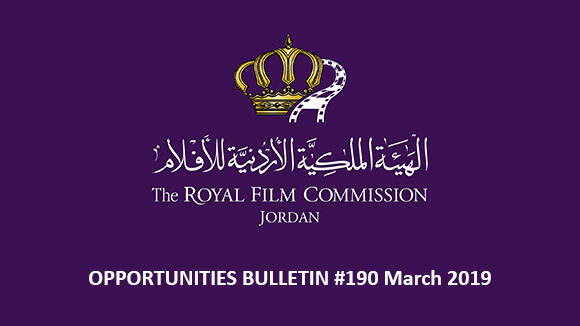 Please send your application to the following email: recruitment@film.jo, no later than 31 January 2017, and indicate clearly in the subject the title of the position you are applying for. The 19th edition of Ismailia International Film Festival will be held from April 19th until 25th, 2017. 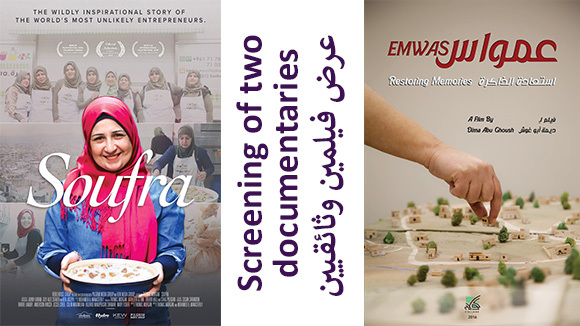 The festival takes place every year in Ismailia (Egypt) to promote an intercultural dialogue for a deeper understanding of others by presenting their creative works to the audience and to encourage filmmakers of documentary and short films. - Long Documentary Films (more than 60 min). - Short Documentary Films (maximum 60 min). - Short Feature Films (Maximum 60 min). - Animation Films (Cartoon - Puppets – Computer Graphics). - The festival organizes encounters and debates between film-makers and the audience, journalists and professionals. 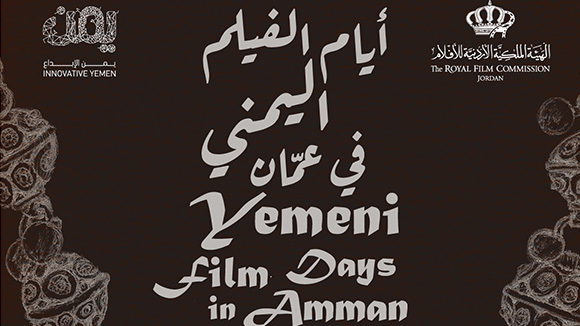 In addition, the festival organizes film workshops in collaboration with other film festivals and professionals that provide opportunity for the young filmmakers to advance their experience and knowledge. 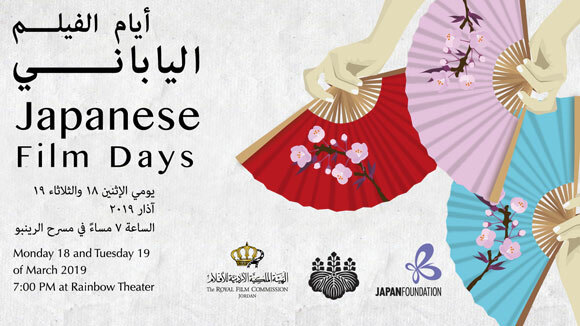 - Special Screenings of both documentary and short films made by distinguished filmmakers from around the world. - Tribute: dedicated to a film personality every year. - Other sections or screenings. - Participation is restricted to films that have been completed during the year that proceeds the year the festival takes place until the closing date. - Formats: 35 mm, DCP, SP Beta, Digi-Beta, Blu-Ray and DVD. - Original version with English subtitles. - Film prints should be in a good technical condition. Together with the Federal Foundation for Culture and in cooperation with the Goethe Institute, the Foreign Ministry and German producers, the World Cinema Fund (WCF) works to develop and support cinema in regions with a weak film infrastructure, while fostering cultural diversity in German cinemas. The World Cinema Fund supports films that could not be made without additional funding: films that stand out with an unconventional aesthetic approach, that tell powerful stories and transmit an authentic image of their cultural roots. The World Cinema Fund has an annual budget of approximately € 350,000 and supports exclusively the production and distribution of feature narrative films and feature-length documentaries. Eligible to apply for WCF funding are production companies from both the WCF regions and Germany. In both cases, a requirement is that the director originates from one of the listed regions. This is a precondition for applications since the “voice” of a native director and his/her connection to the identity and reality of his/her homeland are essential for the WCF. The WCF regions are Africa, Latin America, Central America and the Caribbean, the Middle East, Central Asia, Southeast Asia and the Caucasus. - Applications for distribution funding support can be submitted continually. The 5th Sharjah International Children’s Film Festival 2017 will take place from October 8th until 13th. It is the first children film festival in the country and the region. The festival is dedicated to enhance the media literacy of children and young people, foster children’s creativity and showcase the very best in filmmaking for, by and about children and young people. 3) Entries will be subject to preview by a committee constituted by this festival. A film that is not accepted for the competition section can be shown in other sections with the specific consent of the participant. 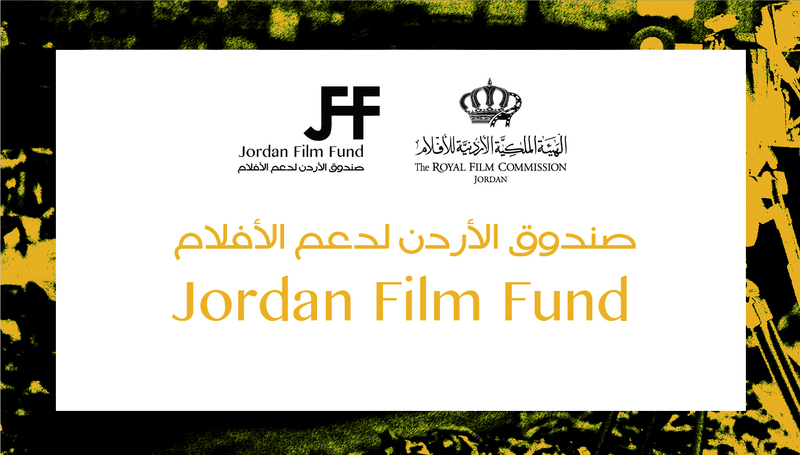 4) Films, which were submitted in the last year’s festival, are not eligible, whether accepted or rejected. 5) Film producers, directors, distributors or their duly authorized representatives or duly authorized government organization / agency of the participating countries may enter their films for the competition through the enclosed submission form. 6) The festival’s organizers reserve the right to invite films they consider suitable for the film festival. 7) The film submitted should not have been broadcast publicly on TV nor online. 1) Films other than children’s films are not eligible for participation in any section. 2) The participants must ensure that they have the right to participate in Sharjah International Children’s Film Festival with regard to parties connected with the production/ distribution of the participating film and/or other right holders/licenses. The deadline for submissions is on March 25th 2017. Submissions for Sheffield International Documentary Film Festival 2017 are now open. The festival is taking place from June 9th until June 14th, 2017. Please email Joe Cutts films@sidf.co.uk for enquiries on film submissions and alternate.realities@sidf.co.uk for enquiries on interactive & VR project submissions. MeetMarket is a unique pitching initiative which match makes documentary and interactive media makers' most innovative project ideas with international decision makers for one-to-one meetings in a fully supportive environment. The Alternate Realities Market runs parallel to the MeetMarket, but offers a focused pitching opportunity for projects which are led by digital or interactive media. Submissions to Sheffield Doc/Fest's MeetMarket and Alternate Realities Market 2017 are now open. Submissions close on March 16th at 17:00 GMT. If you have any questions about Market submissions please view the guidelines or contact marketplace@sidf.co.uk. Sheffield Doc/Fest includes over 60 talks and panel sessions. Each year, ideas for sessions come from the Doc/Fest team, the broadcast supporters (Channel 4, BBC, ITV and Sky) and from the open call for session ideas. The deadline for ideas is 5pm (GMT), January 23rd 2017. Please email nigel.fischer@sidf.co.uk if you would like to discuss an idea before submitting. Submissions for the 18th Calgary International Film Festival running from September 20th until October 1st, 2017 are now open. CIFF is a 12-day showcase of up to 200 multi-genre feature and short films from Canada and over 40 other countries. The festival hosts gala events, screenings, special presentations, and a Behind-the-Screen series that emphasizes unique and exciting ways for filmmakers and fans to interact. - Short films must be 30 minutes or under. - Feature-length films must be 60 minutes and up, completed after July 2016. - Your film must not have a scheduled theatrical release in Calgary that falls before the festival dates, which are September 20 to October 1, 2017. - Your film must not be available online, for television broadcast, on iTunes or by Video-On-Demand.